Apple is all set to launch its new iPhone 7 and iPhone 7 Plus and we have come across many leaks about the device and in the recent report Wall Street Journal has confirmed many of the leaks are going to be true. The first leak which has been confirmed in the report is, iPhone 7 is set to get 32GB storage in the base version. It seems like Apple has finally heard the complaints of consumers who find the current 16GB storage too less (and believe me this is very big pain as number of apps in device has increased as well as the increased storage dependency because of the usage) for a phone that can capture 4K video. 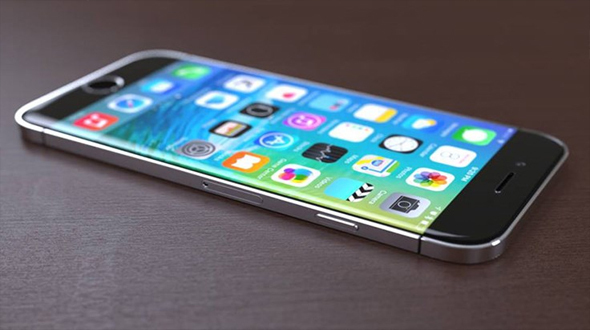 Apple is expected to continue making the 64GB and 128GB versions of the phone. According to the report published in WSJ, iPhone 7 will be water-resistant. As per the earlier leaks device will be slimmer and the headphone jack will indeed be gone. Confirming about the major camera changes of iPhone 7 Plus, the report also notes iPhone 7 Plus will get an upgraded dual-rear shooter, while the iPhone 7 will be equipped with a bigger and upgraded camera module, these were the leaks which has been confirmed by Wall Street Journal. The dual camera set-up is expected to help users capture images in different depth of fields so that they can later choose what they want to focus in the image in the post editing phase. When it comes to changing accessories, Apple is pretty comfortable in making older accessories obsolete for users and so it is no surprise, the company is killing the headphone jack. Users of the iPhone 7 will be able to listen to music over Bluetooth headphones or with a 3.5mm converter for the Apple Lightening charging port, claims the latest WSJ report. In addition, the smaller iPhone 7 version is likely to come with a 4.7-inch display. Also, though the smaller version is unlikely to get the dual-camera setup, it is expected to still be receiving an upgrade on camera front. The report also claims that the upcoming models won't sport a headphone jack. Interestingly, reports have also said the iPhone 7 won’t see a radical design change and features like a glass body, OLED display, etc will make an appearance in the iPhone 8, which will mark the 10 year anniversary of the device. The original iPhone was launched in 2007. The year 2016 is predicted to be a lean year for Apple in terms of sales by most analysts’ predictions. While Apple CEO Tim Cook has promised upgrades that users won’t be able to live without, we’ll have to wait and see what really changes with the iPhone 7.